For over 60 years, innovation and quality have represented the pillars of success supporting Wahl GmbH, a company with a total staff of around 200 employees. Located in Germany's famous Black Forest, this dynamic enterprise specialises in hairstyling appliances and other beauty products such as hairdryers, hair straighteners and curling tongs. In addition to professional products for the hairdressing sector and animal clippers, the product range also encompasses appliances for private use. Products bearing our WAHL, MOSER and ermila brands are developed and manufactured in Unterkirnach, Mosonmagyaróvár (Hungary) and in our Headquarters Wahl Clipper Corporation, Sterling/IL (USA). Exports of 90% to over 100 different countries. 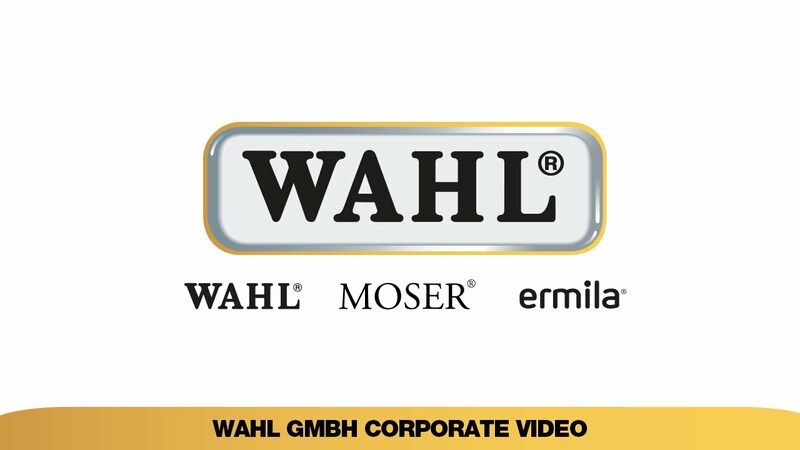 Wahl GmbH is a subsidiary of the Wahl Clipper Corporation (USA), a global player, and this unique position means it can count on the support of numerous strong partners and, consequently, is one of the leading manufacturers and experts in this sector. Professional aids are indispensable when it comes to the regular care of your dog and achieving good clipping results. They ensure that your work is made easier each time you clip your pet. Our MOSER and WAHL animal clippers are particularly durable and reliable, thanks to the stringent quality and precision demands we impose on ourselves! Over 90 years of experience and our quality standards clearly speak in our favour! The core element of any animal clippers, the blade set, undergoes an optimally coordinated manufacturing process to ensure a consistently high cutting performance. This ensures that you, the customer, will profit from your product in the long term! The MOSER and WAHL animal ranges are rounded off with a variety of animal clippers and trimmers, a comprehensive range of blade sets and a variety of accessories to ensure that every type of clipping operation is made easier for you! home use. The range is completed by a comprehensive blade set assortment and a variety of grooming tools to make clipping at home even easier. The Wahl® Pro Animal line comprises a broad range of professional corded and cordless animal clippers, detail trimmers as well as blade sets and additional accessories to meet the high demands of professional grooming salons, breeders and veterinarians. For the development of new products the company works closely together with grooming experts and ergonomists from all over the world. All products for Europe, the Middle East and Africa are developed at Wahl in Germany and produced in the company’s state-of-the-art production plants in Germany and Hungary. Wahl Creativa – Cordless clipping without any limits! Beside excellent cutting performance and versatility, the professional animal hair trimmer for the full-clip of small dogs and partial and detail work thrills with an innovative battery changing system that allows unlimited cordless working. Care for all coats – the latest MOSER coat care assortment! At this year’s Interzoo the company Wahl presents a complete grooming and coat-care package for dogs and cats to the specialized trade under the brand MOSER Animalline. In addition to animal hair clippers, the MOSER product range has been expanded to include high-quality care products as well.